As we make our final preparations to leave the dock, one of our ongoing efforts is to be as self-sufficient as possible. We have added a number of improvements to Happy Dance, including a water maker, solar panels, composting toilets, and now…LEDs! This last little change is a big one in my book as it will lower the drain on the batteries while we’re on the hook, and to me that equals less time with either the engine or generator noisily chugging away. We have banks of overhead lights that are controlled by main switches. For instance, the switch that controls the salon lights turns on 6 overhead lights with one click! The galley switch controls 2 lights, and there are 4 and 6 light switches in each of the staterooms. 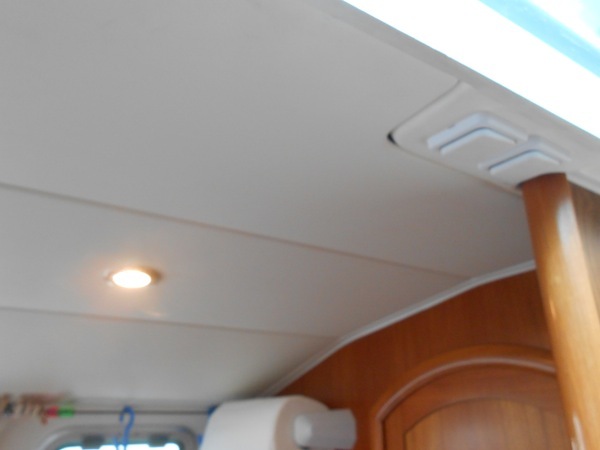 We also have single lights in each head, reading lights over the beds, the nav station, and over the lockers. However, it was the whole area switches, with their big draw, which were a main concern. The original lights were normal bulb lights that used up LOTS of amps, even with just one or two lights on. 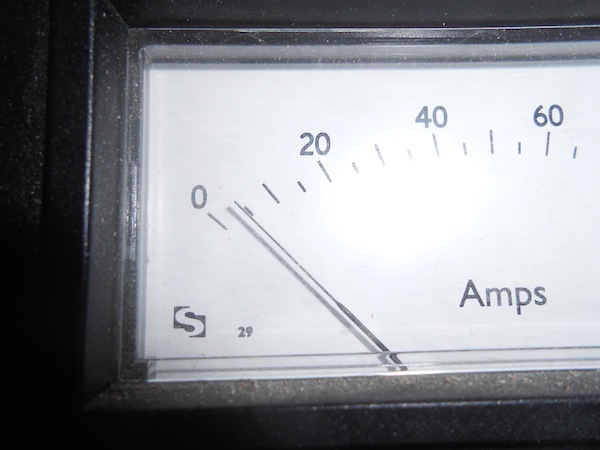 When we used the salon lights, with 6 or 8 turned on at one time, the amp meter would jump by 7 or 8 amps. and that was without the lights in the heads or staterooms! Sitting in the dark doesn’t thrill me, nor does having to wear my headlamp around all the time..ha! Enter LED lights! We have replaced 18 of the 24 overhead lights so far (we cleared off the shelves in Fisheries Supply). And as soon as we find more in stock, we’ll replace the rest of our lights with LEDs. For now all the overhead lights that are controlled by a switch that turns on more than one light at a time are using LED bulbs. We bought the 6 LED replacement bulbs made by Lunasea, which are advertised to have 50,000 hour life. I was worried that the 6 LED versus the 10 LED wouldn’t be bright enough, but the 6 LED put out plenty of light. After installing the salon lights, we now have a brighter area with a nice warm feel, AND much less power draw. 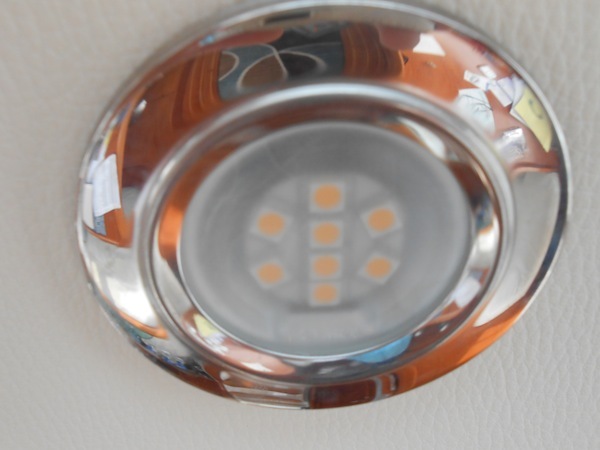 Another advantage is how cool the LEDs are, instead of the old bulbs which got so hot that you couldn’t touch them or the metal ring around them. 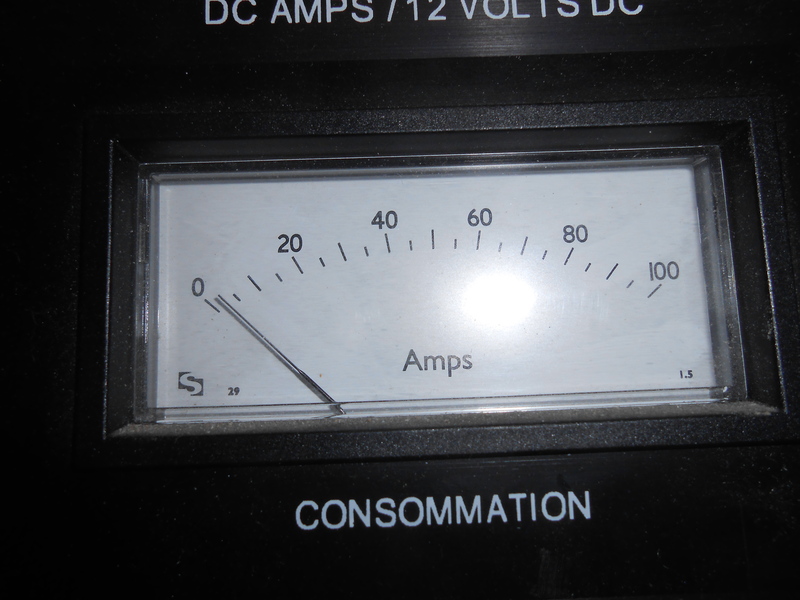 I turned on all 18 of the LED lights and took these before and after shots of the amp meter. It barely moves for all that light; only about 2.5 amps, and we would never have all the lights on at the same time anyway. Quite an improvement! So, let there be light! Now on to the next project…ha! This entry was posted in Boat Projects, Washington. Bookmark the permalink.